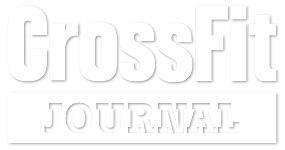 While CrossFit, in general challenges the world’s fittest, the program is designed for universal scalability, making it the perfect application for any committed individual, regardless of experience. We scale load and intensity; we don’t change the program. Tips on taking control of your diet to better your health and improve your performance. Stay focused on your goals. Accept failure as a means to improve your skill set and take it as a challenge to better yourself.